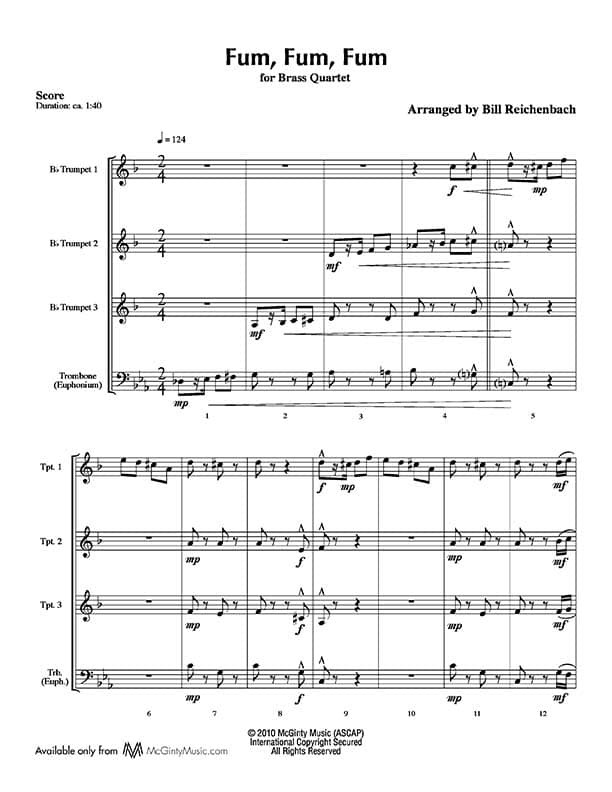 This Catalan carol may date back to the Renaissance, but this arrangement is fresh and joyful. 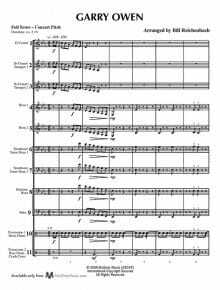 The title, pronounced foom, foom, foom, represents the sound of strumming a stringed instrument. 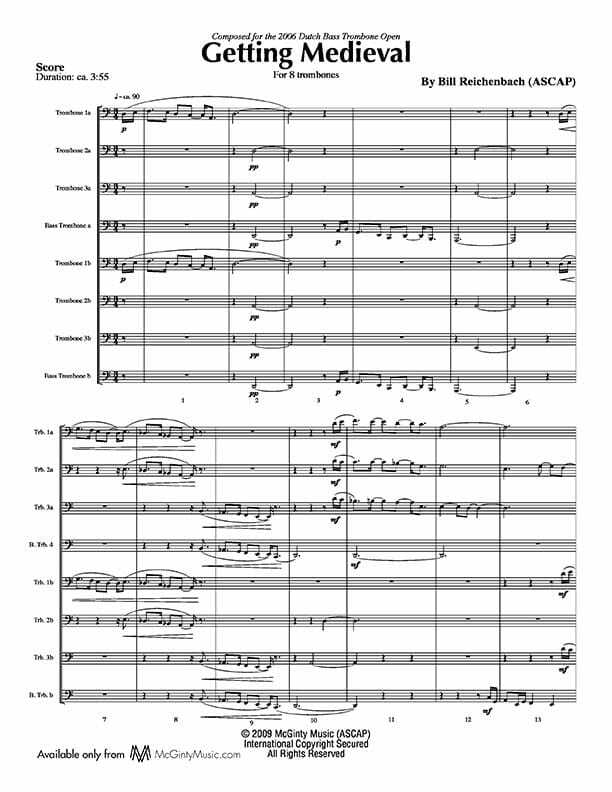 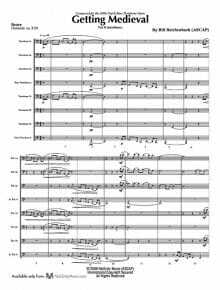 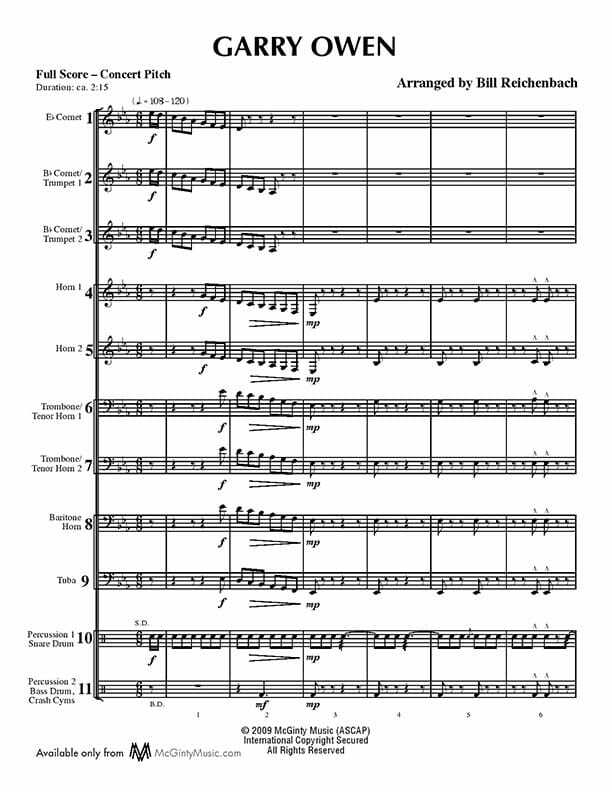 This original composition for eight trombones is a very welcome addition to the literature! 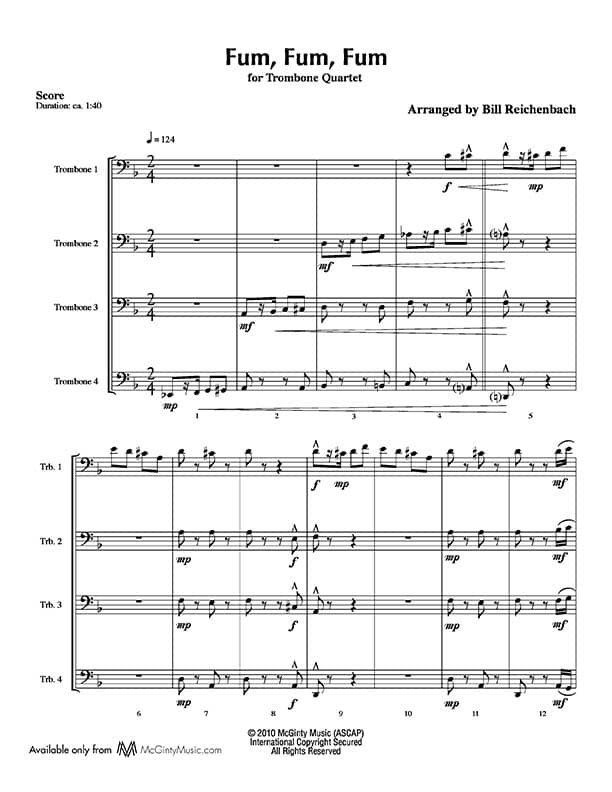 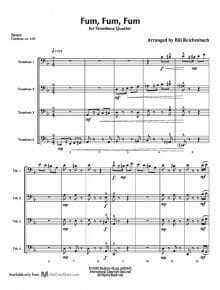 Written for the 2006 Dutch Bass Trombone Open, no one knows trombones like Bill Reichenbach! 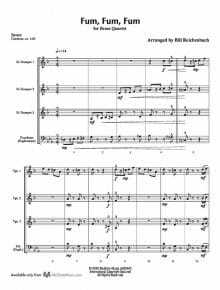 2010 Dutch Bass Trombone Open – 50 Bass Trombone players!